In partnership with The Hazchem Network, the only Pallet network dedicated to chemicals. 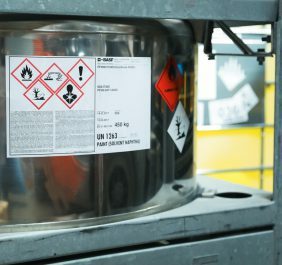 The expert handling and transportation of dangerous goods (DG) and chemicals is crucial in keeping the environment, the general public, our customers and of course our own staff, safe. 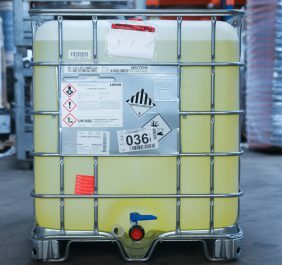 PGS Global’s membership within the Hazchem Network strengthens the company’s existing ability to handle and transport all DG and chemicals. Membership in the network now provides our customers access to hazardous Next Day Pallet and Parcel delivery services at an affordable rate. Our drivers and warehouse teams are fully ADR trained and certified in all aspects of Health & Safety, particularly spillage control and procedures and all vehicles have the appropriate PPE on board. This is all backed up with IT and Customer Service departments, offering bespoke solutions to our client’s tracking and communication requirements.